which struck the blackest note. Finally, in The Hypochondriac, the terminally ill author produced a hilarious expose of the ways doctors use medical mumbo - jumbo to fleece their patients. 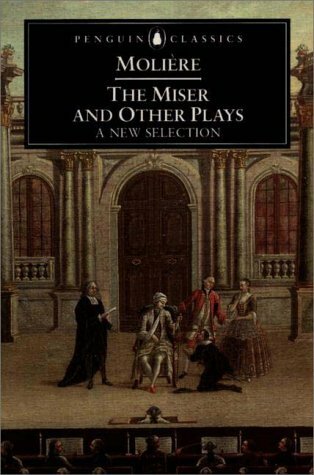 All of Moliere's greatest achievements are included here and in the accompanying Penguin Classics volume, The Misanthrope and Other Plays. which he often used real-life human qualities as backdrops rather than settings from church or state. Soon, Moliere secured a position at the Palais-Royal and committed himself to the comic theater as a dramatist, actor, producer, and director. Moliere is considered to be one of the preeminent French dramatists and writers of comedies; his work continues to delight audiences today. With L'Ecole des Femmes (The School for Wives) Moliere broke with the farce tradition, and the play, about the role played by women in society and their preparation for it, is regarded by many as the first great seriocomic work of French literature. In Tartuffe (1664), Moliere invented one of his famous comic types, that of a religious hypocrite, a character so realistic that the king forbade public performance of the play for five years. Moliere gave psychological depth to his characters, engaging them in facial antics and slapstick comedy, but with an underlying pathos. Jean Baptiste Moliere died in 1673.